Jackfruit is a sweet, delicious and exotic fruit that is packed with many nutrients. It is known as the jack of all fruits. It is a rich source of vitamin, minerals, phytonutrients, carbohydrate, electrolytes, fiber, fat, and protein. Jackfruits are rich in Vitamin B6 and other nutrients like potassium. Jackfruits contain an easily digestible flesh part called bulbs and are a rich source of antioxidants. It is the national fruit of Bangladesh and Indonesia. This fruit is also rich in dietary fibers and low in fats. People enjoy this tasty fruit in many forms like of raw, cooked, pickles, etc. Here, on this page we will see some of the important health benefits of Jackfruit. According to many Gynecologists, pregnant women can eat all fruits. All you need to do is make sure you check on the proportions and avoid overeating. Many fruits and vegetables that are otherwise healthy can cause problems during pregnancy and one of them is Jackfruit. 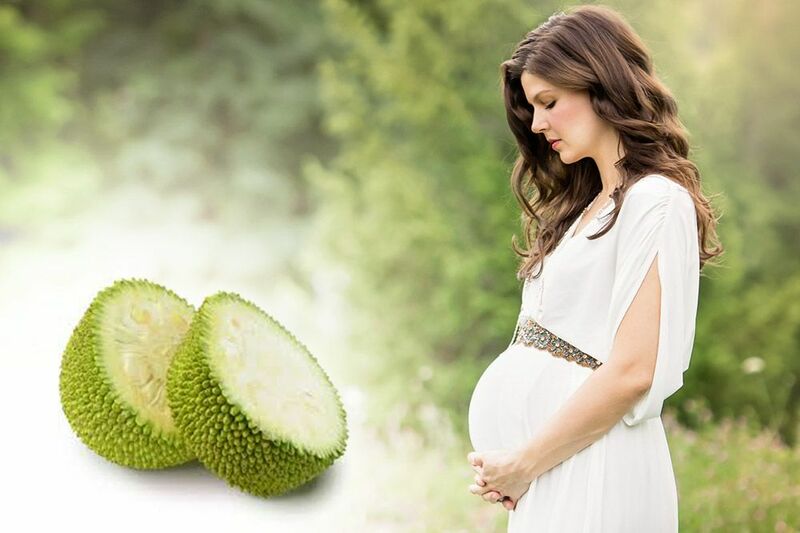 It is believed that consuming jackfruit during pregnancy can increase the risk of miscarriage. Its nothing harmful other than creating too much heat in our body. If heat is created it leads to miscarriage. On a happier note, its great for you, if you it in some adequate amount. It is a rich source of vitamin A that is crucial for proper cell production, eyesight, and fetal development during pregnancy. Jackfruit enhances your immunity and protects you from common diseases and controls your stress levels during pregnancy and even while you are lactating. Just make sure to limit yourself so you don’t get dehydrated. Even when you eat many, just make sure to drink double the amount of water you usually drink. Water and other cool items like cucumber, fresh juices of orange, sweet lime, lemon etc to cool ur body. 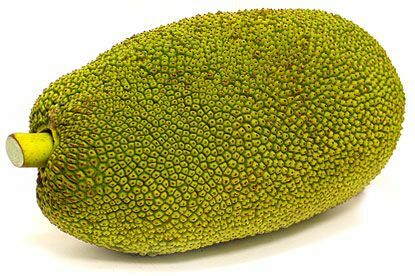 Remember, if you suffering from allergic responses to the jackfruit, you should refrain it from including in your diet. If you suffer from blood disorders, eating jackfruit can quicken coagulation and worsen your condition. Jackfruits serve as an excellent protective agent against viral and bacterial infections due to the presence of Vitamin C in it. In addition, this fruit is known to strengthen the immune system by improving the condition of white blood cells. Owing to its anti-ulcer agents, it is known to digestive disorders. These fruits are a great source of fiber. This property helps in avoiding constipation. Magnesium, found in large amounts in jackfruits, also its absorbs calcium in the body and contribute to the strengthening of bones and prevention of bone-related disorders like osteoporosis. According to Ayurveda, ripened jackfruits helps increase the sperm count. Being rich in potassium, it helps in the lowering of the blood pressure. The extract of Jackfruits root is believed to help cure fever as well as diarrhea. It is rich in phytonutrients. Phytonutrients are plant-based micronutrients that contain protective, disease-preventing compounds. These phytonutrients may help eliminate cancer-causing free radicals from the body and slow the degeneration of cells that can lead to degenerative diseases. Jackfruits root has been found to be beneficial for those suffering from asthma. The root of jackfruit is said to be good fo the treatment of a number of skin problems. It has been also found that they have anti-aging, antioxidant and anti-ulcer properties. Health Benefits of Jackfruit as a very rich source of vitamins. It is one of the rare fruits that is rich in a B-complex group of Vitamins. It contains very good amounts of vitamin B-6 (pyridoxine), niacin, riboflavin, and folic acid.